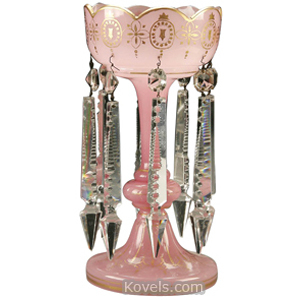 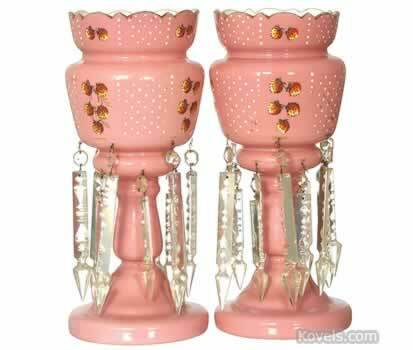 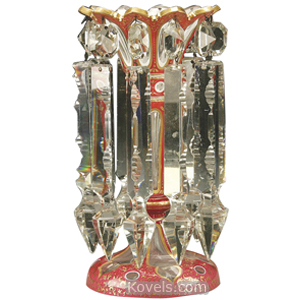 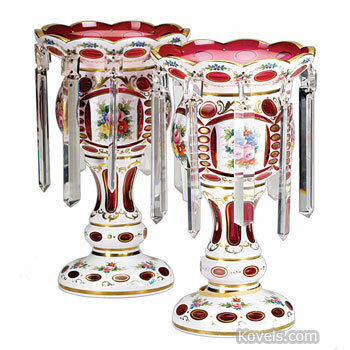 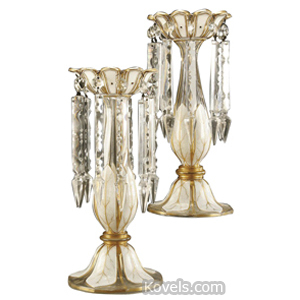 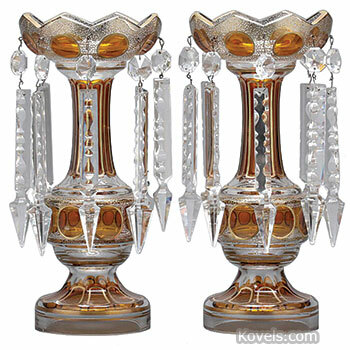 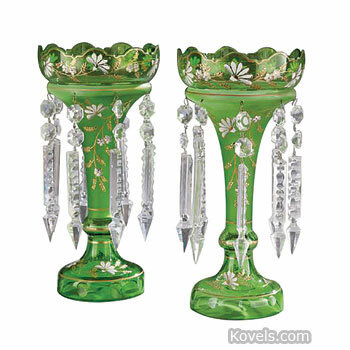 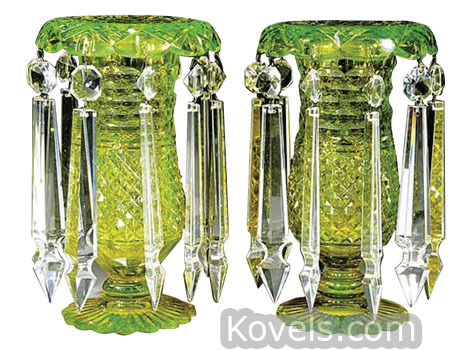 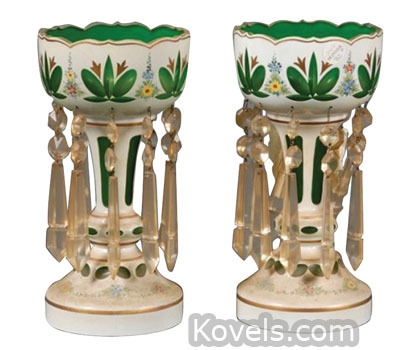 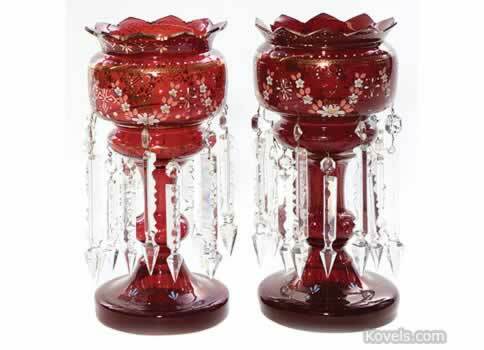 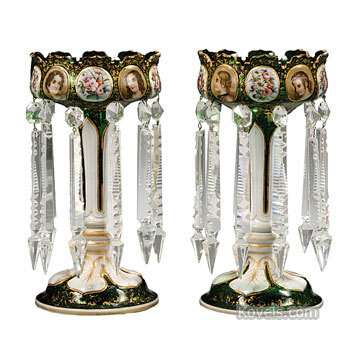 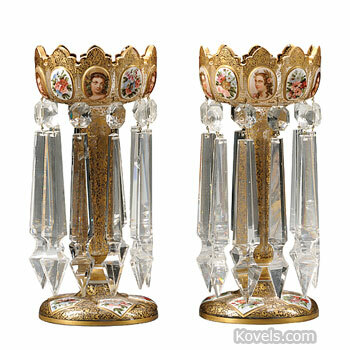 Lustres are mantel decorations or pedestal vases with many hanging glass prisms. 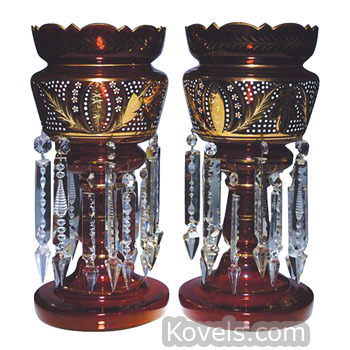 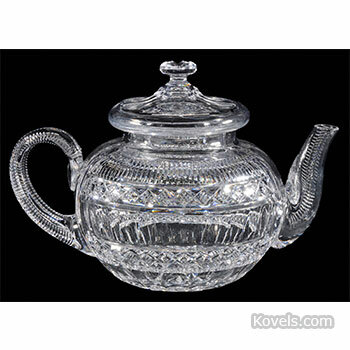 The name really refers to the prisms, and it is proper to refer to a single glass prism as a lustre. 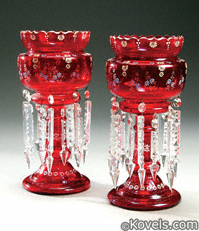 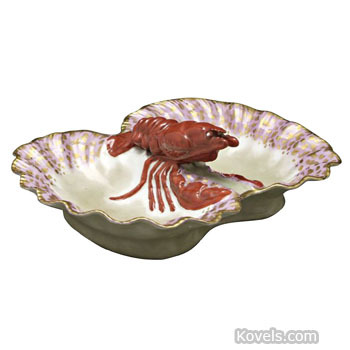 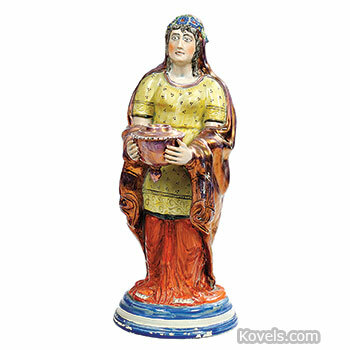 Luster is an iridescent glaze in this list.